Australia’s cooperation with Indonesia on maritime security has been further strengthened through a trilateral maritime security patrol in the Timor Sea north-west of Darwin, targeting illegal exploitation of natural resources. The Australian Border Force (ABF) and Indonesian Coast Guard (BAKAMLA), as part of Operation Shearwater V, concluded the patrol together with the Indonesian Ministry of Marine Affairs & Fisheries (MMAF) on 11 October 2017. Operation Shearwater and the MMAF Coordinated Patrols are usually standalone patrols but, in a first for all of the involved agencies, were combined into a single operation. 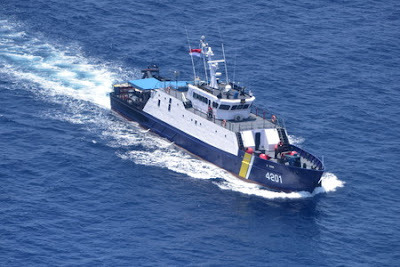 These patrols target the illegal exploitation of natural resources and help to stop illegal fishing and environmental threats, while simultaneously improving operational communication between Australia and Indonesia. The Australian Border Force Cutter (ABFC) Cape St George worked alongside BAKAMLA vessel KN Gaja Laut 4804 and MMAF vessels KP Orca 01 and Hui Macan Tutul 01 with an ABF Dash-8 aerial aircraft complementing the surface assets. 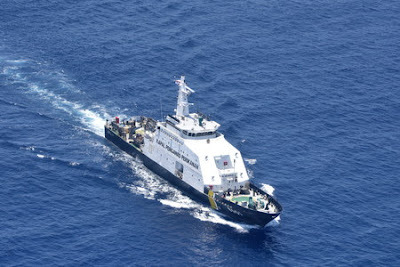 In support of this operation, an AFMA officer was on board ABFC Cape St George for the duration of the patrol. Commander Maritime Border Command (MBC), Rear Admiral (RADM) Peter Laver, said these activities demonstrate the inter-operability of MBC, BAKAMLA and MMAF assets and enhance Australia’s collaboration between agencies involved. 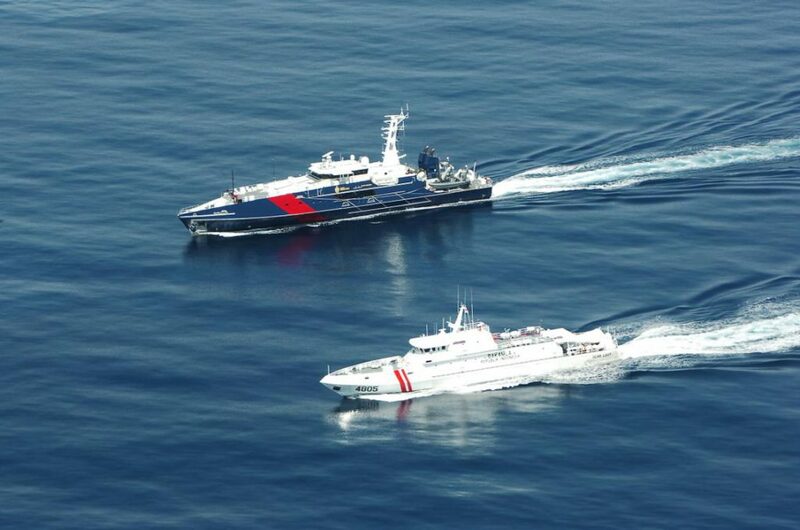 “The combined Operation demonstrates the close relationship between MBC, AFMA, BAKAMLA and MMAF to combat the ongoing threats of illegal civil maritime activity, including foreign fishing either side of Australia and Indonesia’s maritime boundaries. “These maritime operations are a result of ongoing close cooperation among the ABF and our international law enforcement and intelligence partners,” RADM Laver said. This was the fifth Operation Shearwater conducted between the ABF and BAKAMLA, with the inaugural patrol occurring in October 2013. Its funny because Australian is the biggest exploitation of indonesian natural resources. Nothing strange then. Since it's probably legal, that means they have as much an interest in getting rid of illegal exploitation as us. The illegal stuff might actually do them more harm than us. That would be strangely ironic for us Indonesians. setau guwe, kapal cape st george jg berfungsi sbgi kapal bea cukai(custom). hrsnya kemarin kapal beacukai kita diajak jg donk. sesama kapal "biru" haha! personil beacukai dilengkapi senjata otomatis laras panjang. kerna yg dilawan bandel haha!